Shirley was born January 16, 1929, to the late John and Ruth (nee Chambers) Hansen in Racine. Shirley was united in marriage to John James in Waukegan, IL, on November 7, 1949. The couple celebrated 60 years of marriage together until John’s passing in 2009. 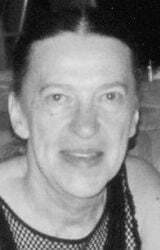 Shirley was a faithful member of Trinity United Methodist Church in Racine for several years. Some of her hobbies included hiking, taking walks, and skiing. Shirley was an avid traveler. One of her favorite spots to go to was Door County. Shirley and her husband, James, celebrated their 40th wedding anniversary in Hawaii. Shirley loved her family above anything else. Left to cherish Shirley’s memory is her son, Kevin (Angela) James; grandson, Sean (Rebecca) James and their family; daughter-in-law, Terry Lueckfield; several family members in Florida, as well as many other relatives and friends. Shirley is preceded in death by her husband, John; her son, Barry (1994); her granddaughter, Janie (2012); and her siblings: Don, Mel, Lois, and Arlene. A celebration of Shirley’s life will be held at the Wilson Funeral Home on Friday, April 19, 2019 at 12:00 P.M. with Pastor John Fleming officiating. Family and friends are invited to a time of visitation at the funeral home from 10:00 A.M. until the time of service. Interment will be at West Lawn Memorial Park. Online condolences may be shared at www.wilsonfuneralhomeinc.com. The family would like to extend a special thank you to the staff at Froedert Hospital, Lakeshore Manor, and especially Fairhaven Nursing Home as well as Rainbow Hospice.